Welcome to the New Bedford Homeless Service Provider Network website! 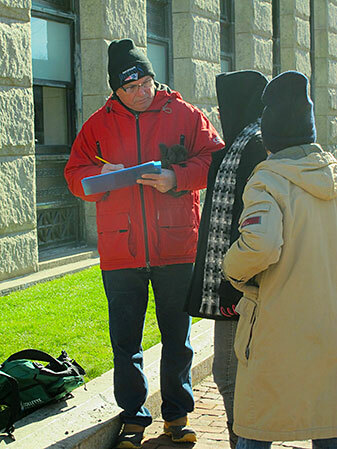 The City of New Bedford coordinates a comprehensive response to homelessness using a “Continuum of Care” approach through its Homeless Service Provider Network [HSPN]. The HSPN meets regularly to address the most pressing issues around the complexity of homelessness and works toward ensuring every individual and every family has access to appropriate, sustainable safe, decent and affordable housing. If you are interested in working toward this end, join with us and check out the work the HSPN is doing in New Bedford. The HSPN is committed to the concept that each person is entitled to live in dignity and is focused on the elimination of homelessness in New Bedford. HOW IS THE SYSTEM PERFORMANCE MEASURING UP? Posted in HSPN Meeting Presentations, News, News Now!, Publications	| Comments Off on HOW IS THE SYSTEM PERFORMANCE MEASURING UP?